We cover all models of Porsche both past and present. 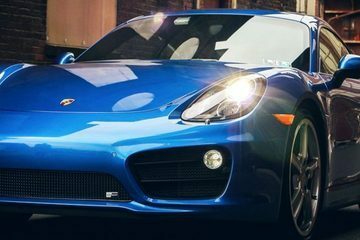 We have all the latest tools and diagnostic equipment, couple this with our Porsche trained technicians and expertise and you can be assured that all work is carried out to the highest expected standards. Russell is well aware of the highs (and lows) of owning and running a Porsche, and also has more than two decades of customer service under his belt. 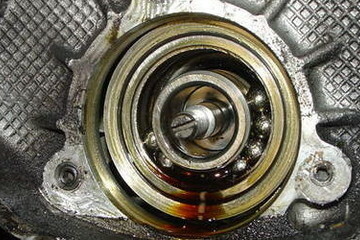 He combines all that experience in his role as Revolution Porsche’s back of house engine. Since setting up the business he has devoted his efforts to designing systems and improving service levels so that our customers don’t have to endure the kind of frustrations that are all too common when dealing with garages. His work also means that our team of skilled technicians can focus exclusively on the cars, as everything else is taken care of. When not running the business, Russell can often be found on Porsche owners’ forums chatting with fellow enthusiasts. He spends hours pointing potential and existing customers in the right direction, helping them with technical queries or offering reassurance that their ‘disaster’ is fixable and that there is a quick and cost-effective way to get their pride and joy back on the road. Russell will often be your first point of contact at Revolution Porsche - whether that’s in person, on the phone or via email - and you can rely on him to put your needs first every time you deal with us. Gareth started his Technician career working on specialist cars , these included Ferrari, Maserati and Lotus before he moved over to the Porsche marque at Official Porsche Centre – Leeds in 2000, as the Porsche department offered much more training that enabled him to forward his career. 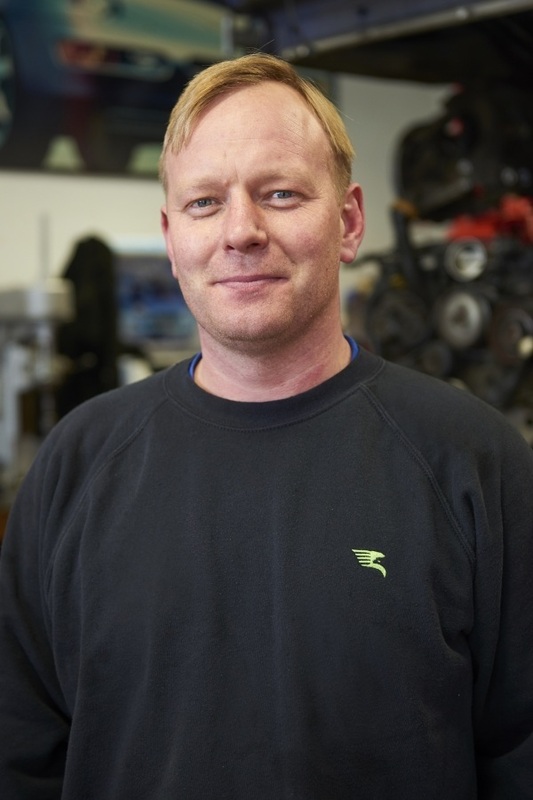 Gareth spent five years working at Porsche Leeds in which time he became a highly skilled, Porsche trained technician. He was then approached by an old workshop controller for whom he had worked with at Porsche Leeds who asked him to go and work at Leeds Volkswagen to become their Master Technician. With that in mind and a burning ambition to expand his skill set, he did and soon became a qualified Volkswagen Master Technician. Soon after he was asked if he would like to become a Technical Support Engineer for VAG group UK which he accepted until Scott called Gareth and asked him to work alongside him again on Porsche, you guessed it, with his passion for Porsche cars he accepted and for two years he worked with Russ and Scott before it was decided that it was time for them to move on, so along with Russ and Scott they opened up Revolution Porsche Specialists to cater of all your Porsche needs. 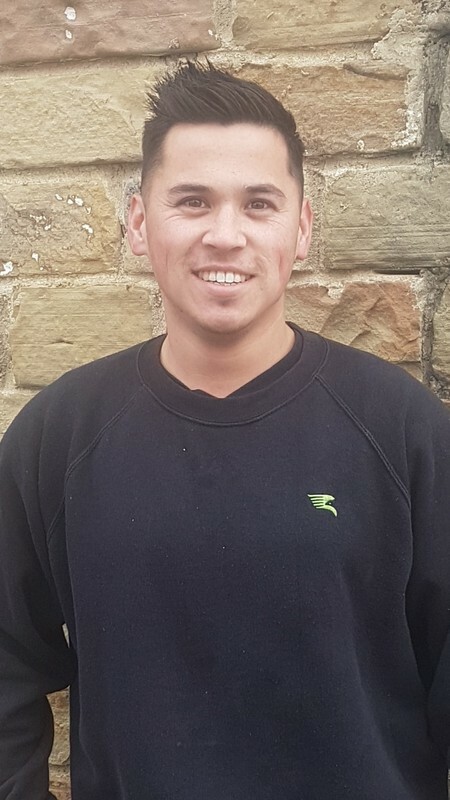 Danny is an experienced Porsche technician who spent six years with Carlton Porsche, before joining the Revolution team when we bought the Birstall-based workshop. He has been obsessed by cars ever since helping his Grandfather to restore MGB roadsters, a Triumph Stag and a Mustang, and became a Porsche fanatic when he first saw a Flatnose 911 in the early 1990s. Danny started to help out at Carlton while he was still at school and was subsequently lucky enough to get a full-time job there and to learn from Mick Goy, who started the business back in 1972. During his time with Carlton, Danny worked on Porsche models ranging from the 912 to the 991, not to mention several Porsche 997 race cars from the Porsche GT3 Cup and his dream car, a Porsche 959. Jobs included everything from routine services to full restorations of classics and fabricating Porsche parts that are no longer available. He enjoys the challenge of helping customers to keep their cars in top condition and believes that he’s impressed them with his fault finding ability, workmanship and attention to detail, as he now counts many of them as friends! Having spent the past three years managing the Carlton workshop, Danny knows that joining the Revolution team will be a big change - but it’s one he’s looking forward to. When not at work, Danny enjoys restoring classic cars, motocross (he has an impressive 6th-place finish in the AMCA Championships to his name) and off-roading in a 4x4 he has built. Joe has been working on Porsches with us for over six years, since he was at school and we’re delighted that, following extensive hands-on training with the Revolution team and after studying at KITS training centre, he completed his apprenticeship and is now a fully-fledged technician. He wanted to be a motor vehicle technician from an early age after his Dad, who works for the RAC, told him about the cars he had owned and how much fun it was to be with other enthusiasts in a workshop. Joe was immediately keen to become as good with cars as his Dad and set about trying to forge a similar career. While still a youngster he started to help out with the family cars and eventually this took up most of his spare time. 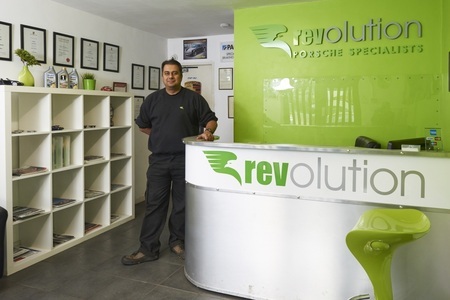 At the age of 15 Joe landed his perfect Saturday job at Revolution’s forerunner Pro-Porsche in Brighouse - after his Dad recovered a Porsche to the garage and asked if they needed any help - and the experience made him even keener to become a technician. After starting work with the Revolution team, Joe completed the tests to join the KITS apprenticeship training centre and began studying to become a qualified motor vehicle technician. He spent two years working towards achieving his NVQ and LVQ in light vehicle, and then gained further qualifications in diagnosing and rectifying chassis faults, electrical, engine and transmission faults on his way to becoming an Advanced Apprentice Technician in his final year. We’re delighted with how quickly Joe has learned the ins and outs of Porsches and the high level of the skills he’s developed, but Joe isn’t finished yet. We are delighted to welcome Phil, our newest member of the Revolution team here at the Brighouse branch. He joins us to extend his motor vehicle knowledge and specialise in the Porsche brand. Being a diploma certificated technician at a Ford dealership based in Mid Wales for 7 years, Phil climbed the ladder from apprentice to senior tech, but the need to progress and follow his automotive ambitions leads him to Revolution. Embracing relocating from the rural hills of Welshpool in Mid Wales to the hustle and bustle of Brighouse town, we are delighted he has settled in well within the team and his new surroundings. 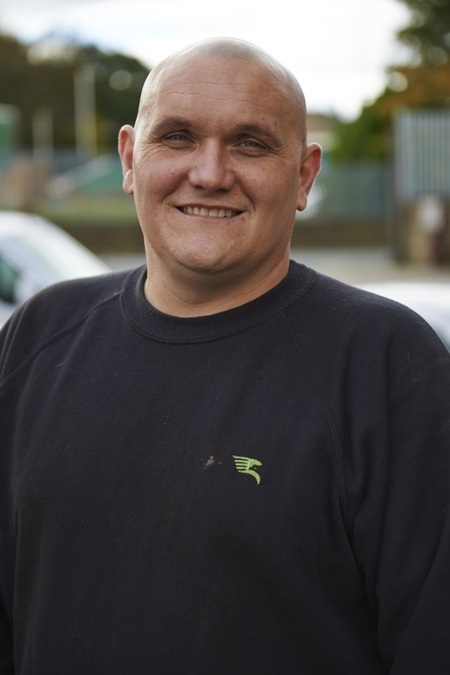 Phil brings to the company; a keen eye for detail, professional attitude and a dealership trained work ethic. Working alongside the Revolution team Phil is fast learning the ropes of the Porsche marquee, learning something new every day from his fellow team members. Phil’s ambition for cars sparked at an early age, working with his dad on classic cars that he has owned over the years, varying from; 1920’s Rolls Royce, Mercedes 230SL, MGA roadster to a Ford Cortina GT. The passion for speed has lead Phil to build his own project; a highly modified Vauxhall VX220, soon to be finished ready for summer and show season, but he has a keen idea for a new track car project it may even be a Porsche!